You Are Here: Home » Giveaway » Dubsmash Your Heart Out to Win The Sound of Us Prize Pack! Dubsmash Your Heart Out to Win The Sound of Us Prize Pack! Dubsmash Your Heart Out & Win! Email in your video to publicity@entangledpublishing.com OR share a photo on Instagram, making sure to tag @EntangledTEEN and use the hashtag, #TheSoundOfUs between May 30, 2016 and July 15, 2016 @ 11: 59 pm EDT for the first, mandatory entry into the contest, and then add one of several other ways to enter via the Rafflecopter widget below to increase your odds of winning! Sorry, but the prize is open to those with a US mailing address only. Entangled TEEN has the right to reuse any video without constraint to advertise the contest and the book, The Sound of Us and we have the right to post the winning song on our site or anywhere else we choose. Except camp has rigid conduct rules—which means her thrilling late-night jam session with the hot, equally geeky drummer can’t happen again, even though they love all the same shows, and fifteen minutes making music with him meant more than every aria she’s ever sung. But when someone starts reporting singers who break conduct rules, music camp turns survival of the fittest, and people are getting kicked out. If Kiki’s going to get that scholarship, her chance to make true friends—and her first real chance at something more—might cost her the future she wants more than anything. Want to Read More? 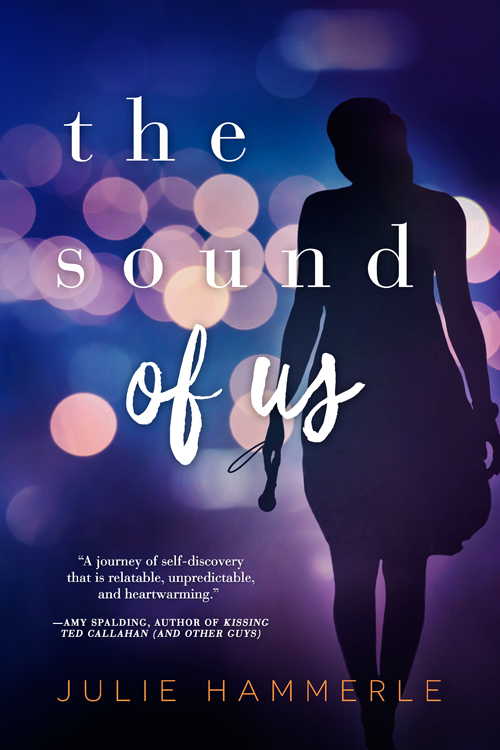 Pre-order The Sound of Us Today! Want to be part of the NEW Entangled Teen Council?